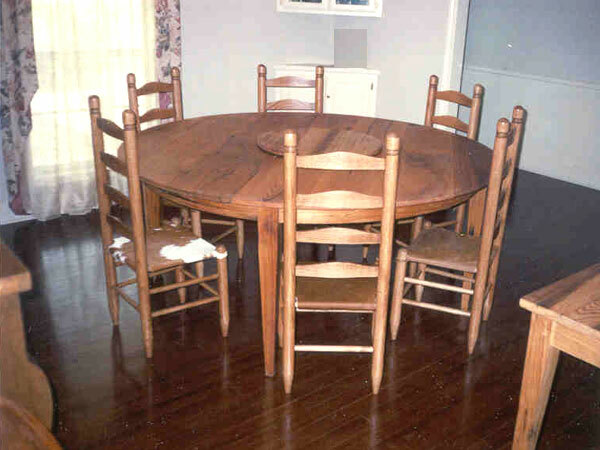 This 6' dining table is made from boards salvaged from an old chicken coop in Kaplan, Louisiana. You never know what you have until you mill it. "A diamond in the rough"! We can custom design one for your family gatherings. May also come with the Lazy Susan.